David has 25 years experience in the Chiropractic health care profession. Lecturing to Chiropractic students early on in his career and operating his own private practice for 23 years. His passion is Chiropractic care for the whole family and he is looking forward to offering his patients a greater variety of therapies at the new location to help assist them with all their natural health care needs. 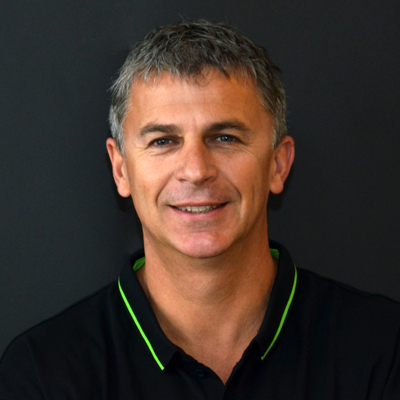 Andrew graduated from Murdoch University with a passion for treating sports people and families. His journey into Chiropractic has been an obvious one looking at it retrospectively. He considers being a Chiropractor to be more or less an extension of the way he chooses to live life, enjoying a natural, holistic approach to healthy living and being active. "I have a firm belief in patient education and empowerment and am continually rewarded by seeing people take it upon themselves to improve their health and lifestyle once they have been helped by chiropractic and given some simple advice." Emma has been working in the massage industry for four years. She completed her studies at what is now known as Endeavour College of Natural Health in 2009. Emma currently holds a Certificate 4 in Massage Therapy Practice and a diploma in Remedial Massage. Emma's specialties are deep tissue and sports massage, trigger point therapy and musculoskeletal therapy. The team at Morphett Vale Chiropractic clinic have had the pleasure of working with Emma since April 2011. Emma is now trained in Oncology Massage and Dry Needling. Judy-Anne has been a massage therapist in the Southern suburbs for the past 20 years. A great passion for the health and fitness industry led her to her first job in the industry was as a massage therapist and fitness instructor at McLaren Vales' The Perfect Fit. With desire for more experience Judy-Anne soon moved into working in both Chiropractic and Physiotherapy clinics. On top of all this she also began working with elite SA athletes, including Newton Jaguars State League Netball Team, Port Adelaide Magpies Football Club and Adelaide Thunderbirds Netball Club. "My ultimate goal is to have a positive and calming environment that my clients can escape the stresses of everyday life whilst having their pain and muscles tension relieved." Director and founder of Club Rhythm, Magda strives to integrate her scientific based training with nutrition coaching to support lifestyle transformation. Her interest in the scientific advances of how nutrition is influencing the human DNA and passion for fitness and movement have led her to develop an integrated approach to health and wellbeing that combines the exercise, nutrition and education required to support behavioural changes. Magda has a sports nutrition qualification, a degree in Computer Science and a MBA from the Australian Graduate School Of Management. Currently completing Nutritional Medicine she is also a certified Stott Pilates Instructor. Magda offers a range of nutrition consultation and coaching services to meet the needs of busy professionals. Magda's belief is that food is medicine for our bodies and therefore we are what we eat. Magda uses coaching models ensuring that each individual’s nutrition is appropriate for their lifestyle and level of activity, thus allowing each person's health and lifestyle goals to be met long term. Colleen has over 20 years experience running her own business and providing complementary healing services. Since 1992 Colleen has completed an astounding 29 short courses adding to her foundation as a body massage therapist. These courses range from learning facials at Jurlique and Arbonne, aromatherapy and Australian bush flower essences. Colleen will also be using the "Thumper" massage device for 15 min. pre-Chiropractic treatment. Joy started working at Morphett Vale Chiropractic in 2000 as an Chiropractic Assistant. She has been working in the chiropractic industry since the early 1980's. South Australia country and Queensland before moving to Adelaide to raise her family. In 2000 she completed the Chiropractic Assistants Course through RMIT University Melbourne Distant Education Program. Joy enjoys all aspect of her work with David and the team at Morphett Vale Chiropractic and believes strongly in natural health care. Lea's original career was in beauty therapies and hairdressing, training in Sydney. Chemical allergies forced her to find natural ways to help her clients in this industry. A career change in her early 20's led her to 20 years in the hospitality industry, working, developing and managing restaurants on the Fleurieu Peninsula. After marrying David in 2008, she has welcomed another career change, helping David create and develop this new space at Morphett Vale Chiropractic and Wellness.